Since their inception, websites have come a long way. Their structure, usefulness and features have evolved, and continues to do so, today. 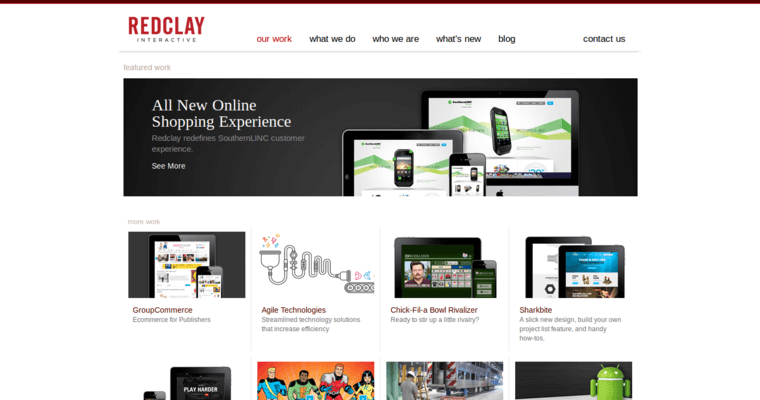 The team at Red Clay Interactive considers themselves to be digital storytellers. This approach has led them to be named one of the best Web Design Firms. 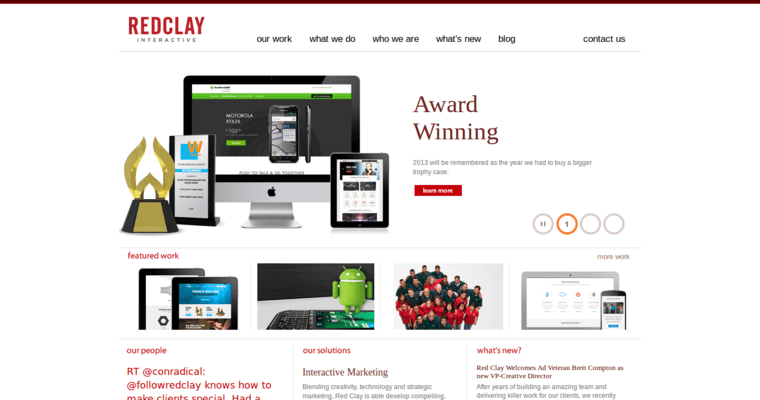 When you are in need of a website, or an update for your existing website, the professionals at Red Clay Interactive are ready to tackle the project. Once your goals and expectations have been discovered by the firm, they can begin putting together ideas. Then, the team will get to know your desired market through empathy. The strategy will be formulated and your website will be executed. Technology and creativity will be blended, and when it is complete, the final product is presented to you. 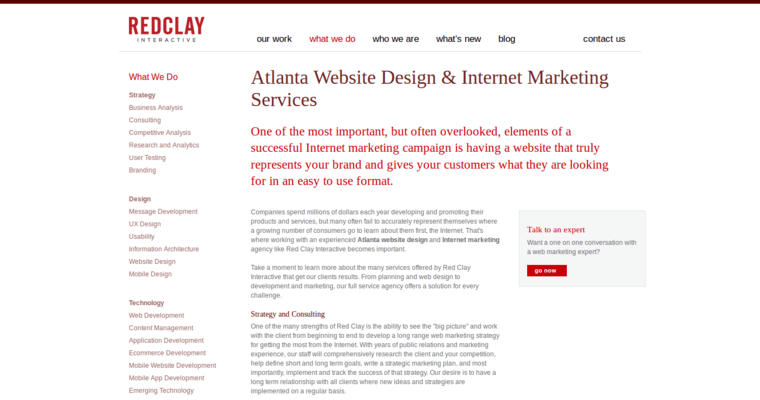 Once your website is live, Red Clay Interactive will take the time to measure its success.